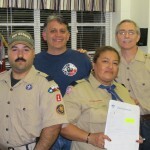 Church of the Redeemer sponsors Boy Scout Troop 4 and Cub Scout Pack 1. Boy Scout Troop 4 has been in continuous operation since 1916. We presently have about 20 youth and 9 adults participating, with an average weekly attendance of about half this number. In addition to our weekly meetings, we have activities about once a month that include camping, hiking, and service projects. We typically include a major summer activity such as a week at camp or a trip, and occasionally plan combined camps with the Cub Scouts to increase the fun. The Cub Scouts also make a point of doing combined activities with nearby Cub packs to make connections and increase the overall enjoyment. This year we will continue to nurture the oak tree saplings planted last summer by the Boy Scouts and Girl Scouts. You will find these little oaks growing along the sidewalks outlining the church property. We are especially proud to have had one Scout achieve his Eagle Scout badge this year! Congratulations, Jose!! 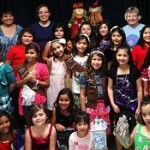 Girl Scout Troop # 23256 formed in January 2010, to try to meet the great need in the neighborhood for girls’ organization. We started with 2 leaders and 16 girls in first and second grades and met after school at Lantrip Elementary School. 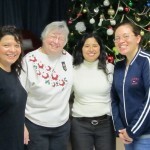 We’ve continued to grow, and now have 4 dedicated leaders and a roster of 20 girls from the third through sixth grades. We’ve changed our meetings to Monday evenings at the Church of the Redeemer, which gives us freedom to do activities such as sleepovers at the church and parties and activities in the Parish Hall. Evening meetings also allow for more parent support. Besides our regular meetings we are now having at least one outing each month and are staying very busy as our troop has gotten more organized and trained in the Girl Scout Ways.